A rich family drama collides with an awe-inspiring exploration of the universe in Mosquitoes by Lucy Kirkwood, STC's third Kirkwood production in as many years. Mosquitoes' director Jessica Arthur took a few minutes out of rehearsals to answer questions about the production which has been known to swing the room from childhood photos to astrophysics in one lively sitting. 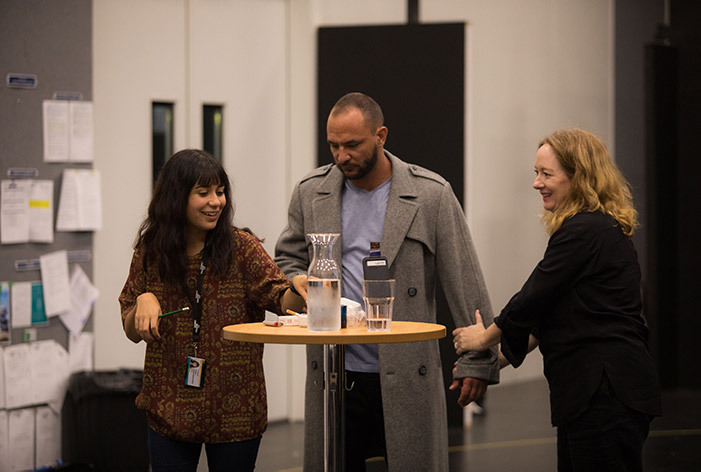 A more in-depth interview with Jessica can be found in the Mosquitoes program, along with words from the playwright Lucy Kirkwood, a breakdown of scientific terms, rehearsal photos and a fascinating essay from Dr James Gillies, Strategic Planning and Evaluation Manager at CERN. You can pick up a souvenir play program from the Drama Theatre Box Office for $12, or pre-purchase program vouchers for $11 when booking your tickets. Season Ticket Holders can pre-purchase vouchers for $10 with their Season Ticket.